US-based defence technology and innovation specialist Raytheon is currently fitting out the Australian version of the F-35, the fighter jet that made its local debut at this year’s Avalon Airshow. Defence Connect was on the ground at the event, taking time out to hear more about how the company is equipping the aircraft, slated for delivery to the Royal Australian Air Force by the end of 2018. Raytheon director of emerging markets Mark Noyes – one of the firm’s F-35 weapons experts – was on hand to unveil some of the ins and outs of how the Australian iteration will be equipped once operational. "[With] the F-35 currently, the Australian version we're working on, there's a portfolio of weapons that we’re going to be including on that, starting off with the 9X Sidewinder missile, which is the premier short-range air-to-air missile using infrared technology," Noyes told Defence Connect. "It's got incredible capability [and has] been operational for years. It will be the first air-to-air short-range missile on the F-35A the Australians will be getting." 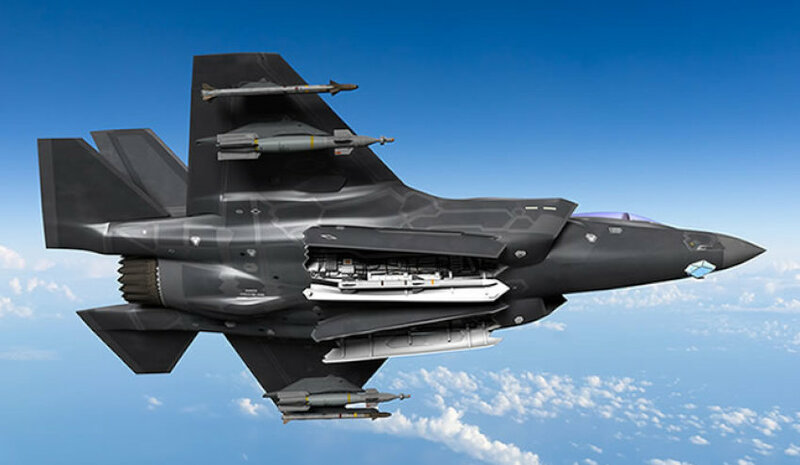 In addition, the local incarnation of the F-35 will be fitted with the AIM-120 Advanced Medium-Range Air-to-Air Missile, or AMRAAM for short. “We’ve done over 30 test shots on the variants of the F-35 since 2013,” said Noyes, classing the trials as “hugely successful”. He said the AIM-120 was currently operational on the F-35B, which is flown by the US Marine Corps. "They declared the initial operational capability in 2015, and so when the Air Force declares their IOC, probably sometime this year or next year, you can count on the AMRAAM, the AIM 120Bs, being one of the essential weapons onboard the F-35A," Noyes added. Other gear to be featured includes the SDB II warhead and the Joint Standoff Weapon – tipped as the US Navy's only network enabled weapon. "So we're pretty excited about all the integration activities that we're doing on the F-35," concluded Noyes.